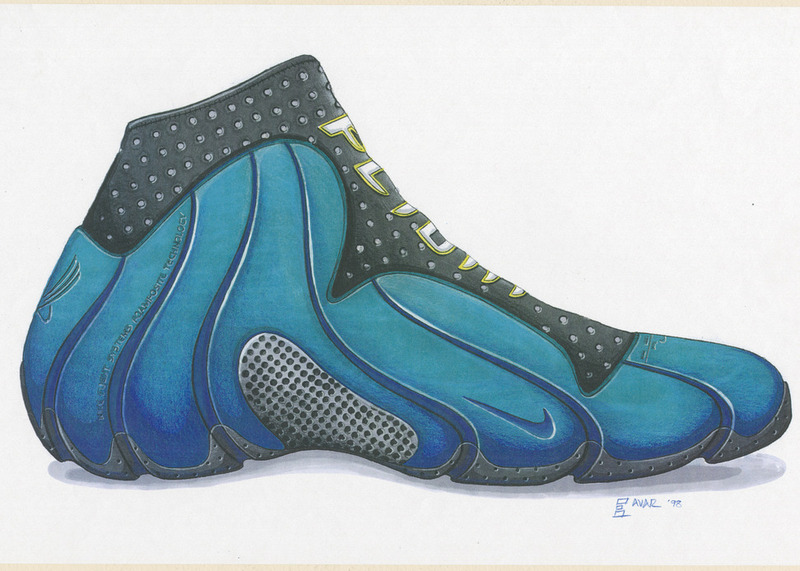 The Nike Air Flightposite is next up in Nike's 20 Designs That Changed the Game. 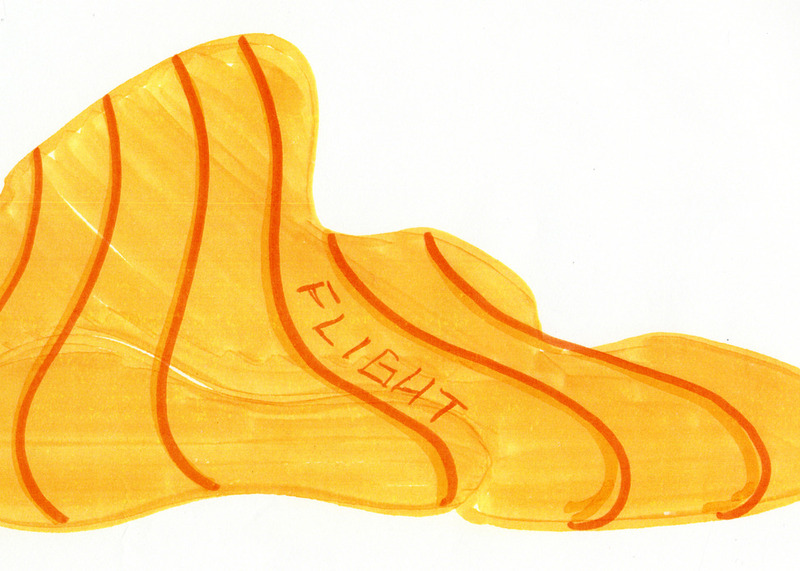 After the Nike Foamposite One in 1997 came the next evolution in Foamposite technology with the Air Flightposite in 1999. 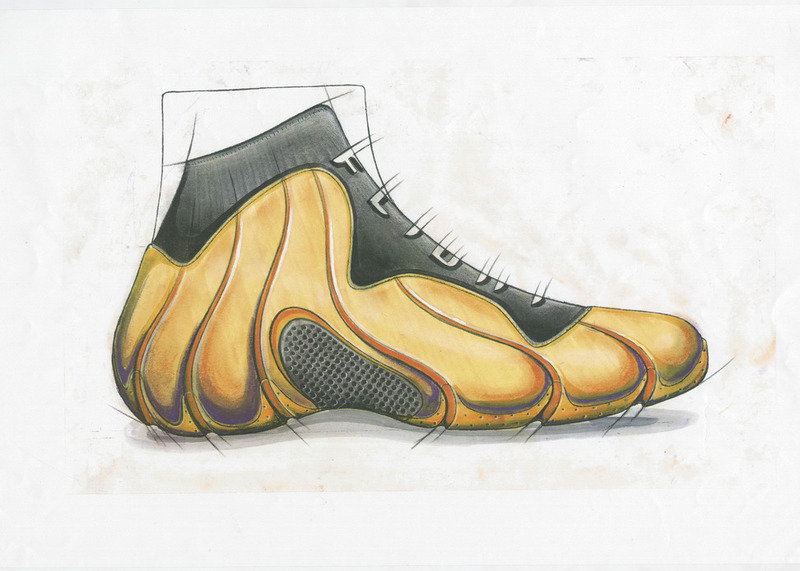 Designer Eric Avar's goal was to improve upon the Foamposite One with a more fluid, organic model that would become an extension of the wearer's body. 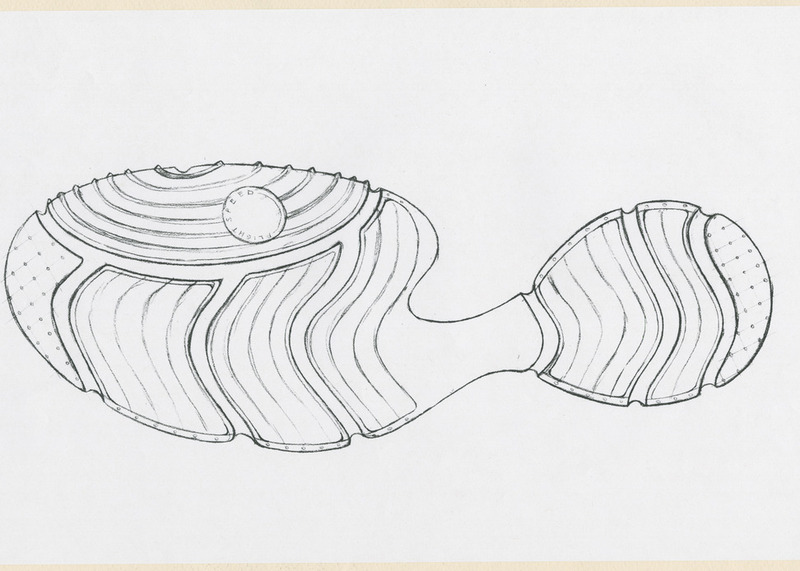 Avar took inspiration from both futuristic concept cars and figure and anatomy drawings of a 17th-century artist. 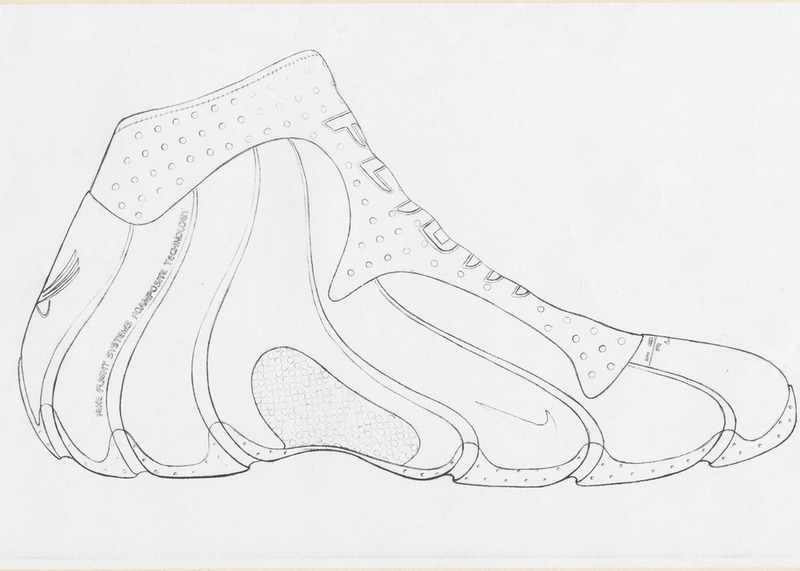 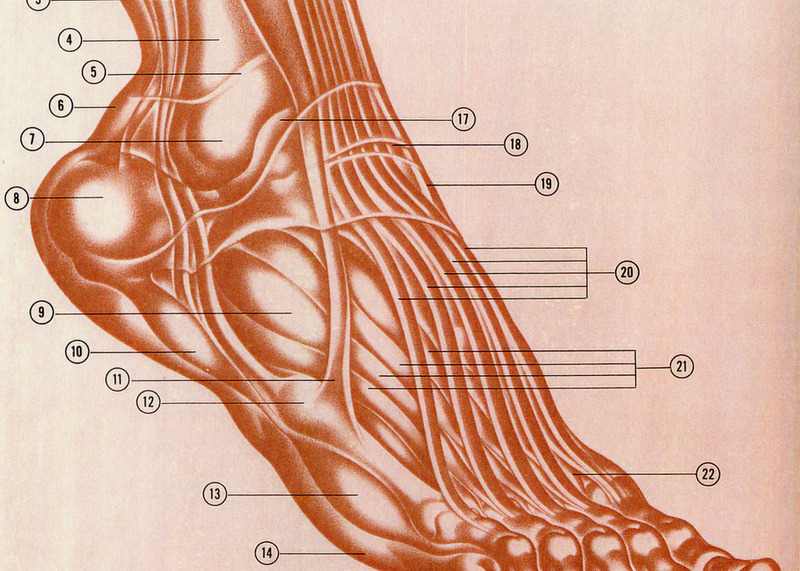 To succeed with the fluid streamlining of the shoe, even the laces were hidden underneath a zippered shroud, a la the Zoom Flight "Glove" - which is referenced in one of the sketches below. 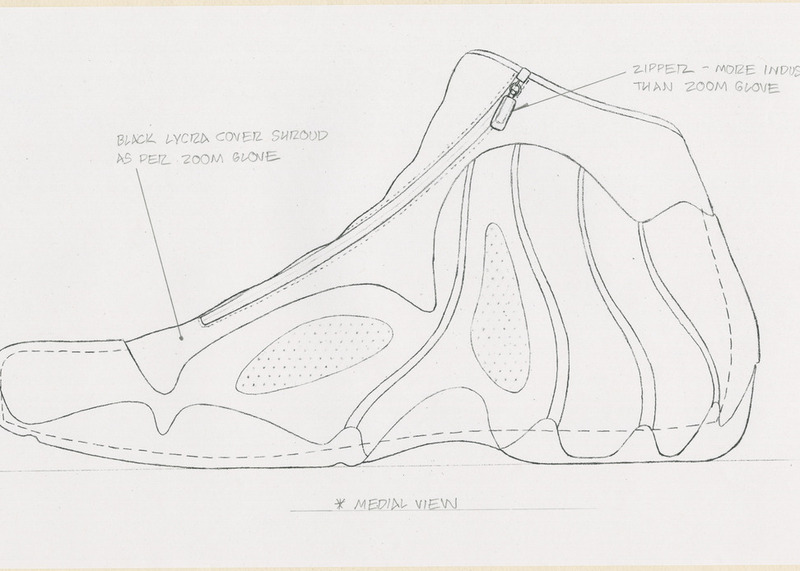 Although the Flightposite was early in the design evolution of Foamposite, it is still one of the best and most elegant of all Nike Basketbal models utilizing the Foam technology.